Existentialism is a big word. 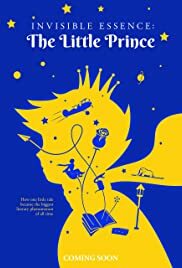 But for 76 years, for a readership barely old enough to read, Antoine de Saint-Exupéry’s The Little Prince has conveyed the importance of asking who we are, what connects us to others, and how we should live. I saw this work not too long ago, during the 2019 Victoria Film Festival, and quite enjoyed it (see review here) and it continues to inspire, getting a theatrical screening in Vancouver, BC, on April 19th. Charles Officer’s acclaimed documentary Invisible Essence: The Little Prince looks beyond what the story of a stranded aviator who encounters an elegant alien child in the Sahara means. This documentary explores the global legacy of The Little Prince 75 years after its publication. It weaves the author Antoine de Saint-Exupery’s extraordinary biography with fascinating discussions from key sections of the book, exploring the many ways life and art can reflect upon one another in curious ways. And in telling the author’s own story of a child who suffered the loss of a father and beloved brother, and who found “himself” as an aviator for the French air-mail company Aeropostale, flying alone over no man’s lands. This Sunday, Shout! 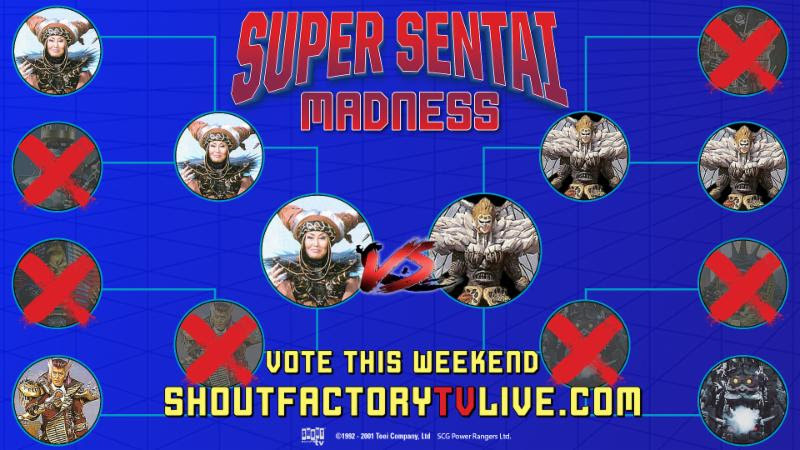 Factory TV presents the live finale to Super Sentai Madness! The conclusion to an epic tournament of Super Sentai villains and their corresponding Sentai episodes will be live-streamed beginning April 7 at 6 p.m. PT on Shout! Factory TV’s site, Twitch channel and Pluto TV channel. Karan Ashley (Mighty Morphin Power Rangers), Andre Meadows (Power Rangers Hyperforce) and Shout! Factory’s Brian Ward will break down the results of the three-week Super Sentai Madness tournament. Accompanied by Sentai experts like Shamus Kelley, the live show will break down all of the villain match-ups, explore the relationship between Super Sentai and Power Rangers, stir interaction with fans on Twitter and Twitch, and reveal the ultimate winner of the tournament. Additionally, the bracket contest winner will be picked live, and the winner receives a Shout! Factory shopping spree. A Scary Way to Cap off the Week with Stories to Tell in the Dark! It’s been a busy week for Scary Stories to Tell in the Dark. Teaser products have been released in the past five days and herein lies a complete list. I’m excited about this work because of the talents involved in bringing the work of Alvin Schwartz to life. First off, Dan and Kevin Hageman (Tales of Arcadia: Trollhunters, LEGO Ninjago) wrote the screenplay based on the treatment by Guillermo del Toro, Patrick Melton and Marcus Dunstan. Also, André Øvredal (Trollhunter) is directing. Plus, the teaser trailer shows how the terror comes together. A book is discovered, and in what Sarah Billard penned, the creatures found her stories come alive. While the concept feels similar to Goosebumps, this take is more on authentic paranormal instances than Nickelodeon style. Perhaps that tome is worse than The Necronomicon from H.P. Lovecraft‘s world! This movie is headed to the big screen August 9th, and the release of the trailer shows all is not good in the small town of Mill Valley. The Red Spot and Pale Lady images show what the Bellows family may have to face!